… about Life, Music, Art, Images, et cetera. Benaras or Varanasi(one of the cities in the Indian state, Uttar Pradesh) has many names. This place is also known as Kashi (not to forget the famous Kashi Vishwanath Temple) – one of the oldest city in the world and has many Hindu mythological stories to be related with. Most of the photos were taken along the banks of the Ganges which are lined with an endless chain of stone steps. You can observe the Hindu way of life along these ghats. The best time to walk along the ghats, which I personally felt is ‘dawn’. Get up before sunrise and experience the mesmerizing life along these ghats. You get to see quite an interesting crowd out there who come to take a dip in the ‘Holy Ganges’. You can also witness few ‘Sadhus and Fakirs’ who start their day in the most spiritual way and few in an unusual way. The white color mask that you can see is called ‘Vibhuthi‘(or ash) which is applied by the sadhus all over their body. This is considered to be as ‘holy ash’. This picture was shot at Bodh Gaya in Bihar(An Indian state). Bodh Gaya is a religious site and place of pilgrimage where Gautama Buddha is said to have obtained Enlightenment under a Bodhi Tree. The picture was shot at Katra(The Trikuta Mountains) in Jammu (India). This trip was a memorable one, however, when I look over the photographs, it leaves an air of melancholy in my life…. This is National Highway 37 (India). The highway runs from Panchratna (near Goalpara) across Assam to Roing in Arunachal Pradesh. The total length of this highway is 740 km. It is also known as A.T. (Assam Trunk) Road in Assam. This highway also connects the Asian Highway 1 (AH1) from Numaligarh passing through Kaziranga and Nagaon to Guwahati. And AH1 is the longest route of the Asian Highway Network, running 12,845 miles (20,557 km) from Tokyo, Japan via Korea, China, Southeast Asia, Bangladesh, India, Pakistan, Afghanistan and Iran to the border between Turkey and Bulgaria west of Istanbul where it joins end-on with European route E80. Who knows where you’re going?? These pictures were taken along the Nagaon-Jagiroad stretch. Gulmarg is a hill station in Kashmir Valley and Gulmarg means “Meadow of Flowers”. The town is within the Himalayas and is within miles of the Line of Control between India and Pakistan. Lots of memories to reminisce…the horse-ride, the flowers, the scenery, LOC, etc etc.. The following pictures were taken from a recent vacation to Jammu & Kashmir. This is the flamboyant Dal Lake in Srinagar, Jammu and Kashmir, India. This massive lake covers an area of 22 sq. kms. 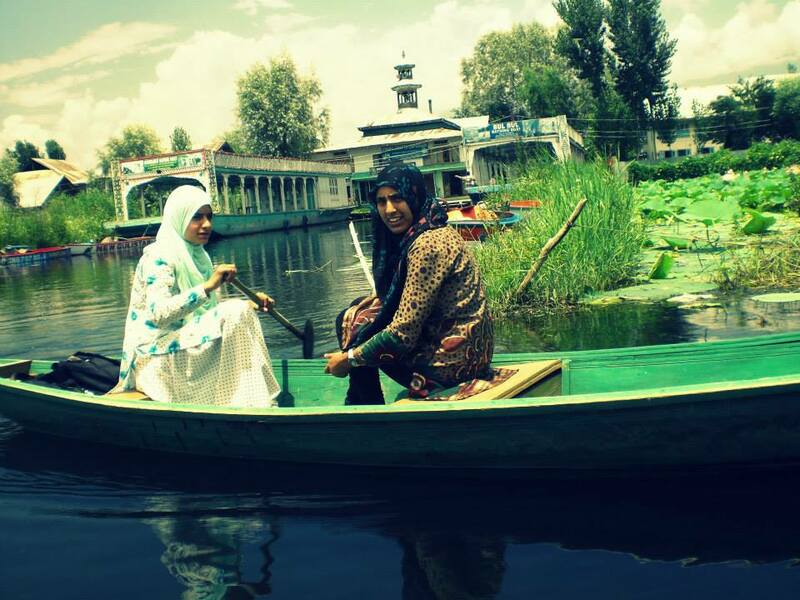 Kashmiri Lasses rowing in the lake. Shikara, the wooden boats, is the unique cultural symbol of Kashmir. You can find them in almost same sizes however decorated in different styles in order to attract tourists like me. And do not forget to bargain before going for a ride in any one of these. You can find these Water Lilies in yellow and white colors…. The scene of women rowing boats is just so common in this lake unlike other parts of India. A blog about people, culture.....and whatever belongs to north-east region of India.